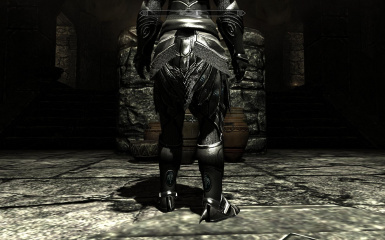 A High Definition complete overhaul the Elven Armor set. Full permission is given for this file, credit would be appreciated. If you have a question: READ THE COMMENTS SECTION! It's likely I've already answered it. If you have a suggestion, or want to give feedback: KEEP IT REALISTIC, creating this takes hours, days and weeks, not minutes! 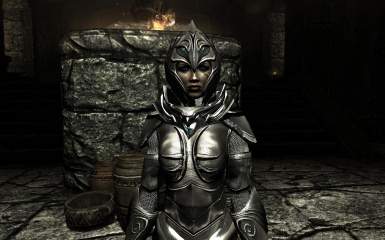 This is a fully realized remake of Light Elven Armor, my favorite armor in Skyrim. 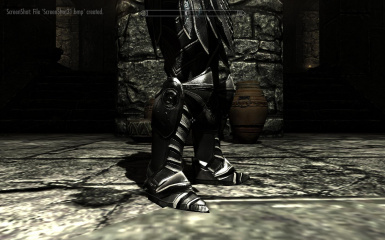 This re-texture has been created completely from scratch in order to provide as high quality as possible. 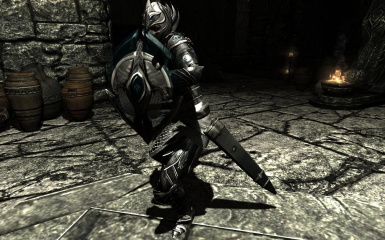 I've spent many weeks downloading things from Skyrim Nexus and gawking at some of the amazing things you all have been creating. 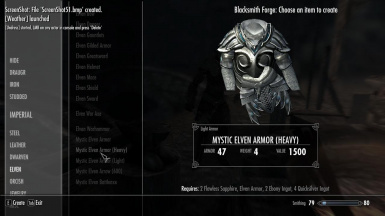 I've always wanted to try my hand at some modding but have never been able to wrap my head around a project and put the effort needed to complete it. 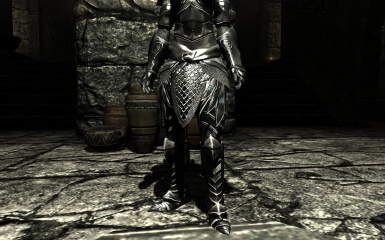 Over the weeks I've been spending a lot of time looking for a high quality mage themed elven armor. While many of the files on Nexus have been great, I could never find one that really matched the theme I was looking for. 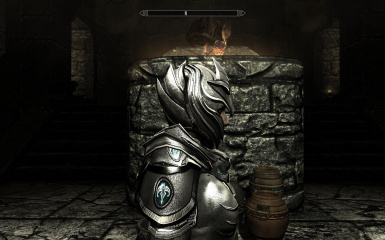 After three failed attempts to start making this armor, I finally dove in to the work head first. 30 Man hours, and lots of tutorials later, I finally completed my first ever reskin and I am very happy to provide it to this community as a small contribution (and perhaps a payment) for all the great skins/mods I've enjoyed from this site. Your works provided the inspiration to create this armor, peaking at your texture files helped me to understand a lot about how texturing works. Transparent shield glitches during snowy weather when viewed from a specific angle. 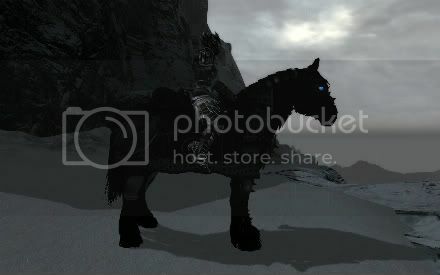 - Horses should no longer attack player after being attacked. 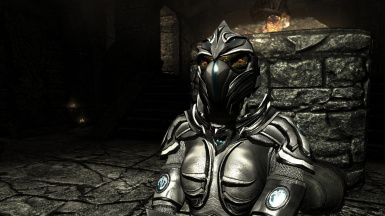 - Raven Armor texture bug fixed. - Saint now has golden horseshoes (bling bling). - Sader Horses v1.0 file added. 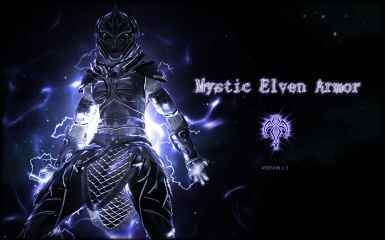 (Contains both Mystic Elven Raven and Divine Aegis Saint). 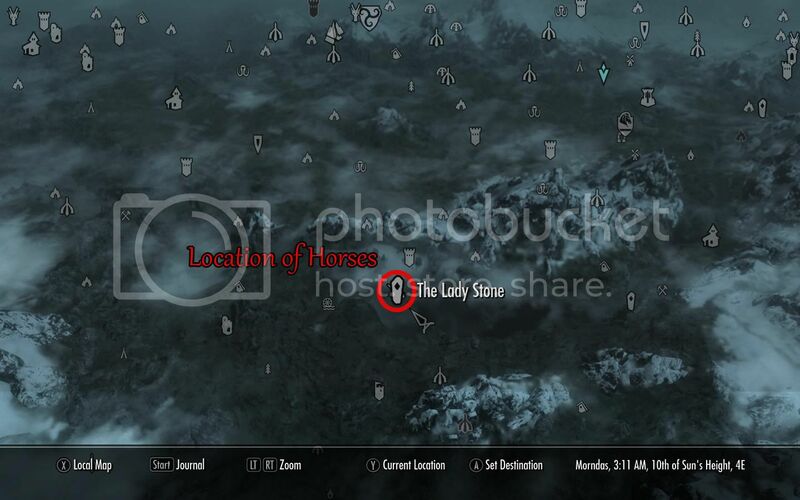 Both horses are located on the same small island as the Lady Stone. Check "Location.jpg" located inside download file. Uploaded a new showcase video as the old one was severely out of date, while I contacted the creator of the previous video about making a new one he ultimately failed to respond (or care) so I created my own. I have very limited experience with creating videos, but I pretty sure this gets the point across well enough. There are a couple glitches but nothing too big, or atleast not enough for me to want to re-render the whole video again. In order to eliminate weapon delay I have changed the save file format. While on one hand this will, for most people, solve the problem with weapon armor delay there are some drawbacks I want everyone to be aware of. I strongly recommend that anyone who was using 1.5 stand alone and was barely scraping by in terms of memory to either not update to 1.5.5 or use the low resolution texture pack. The old 1.5 file will remain up in the "old files" section just incase anyone updates by accident and wishes to revert. Kudos to Ipodge for helping me to figure out and solve this issue once and for all. -Uploaded new MEA - Horse v1.5Beta file. 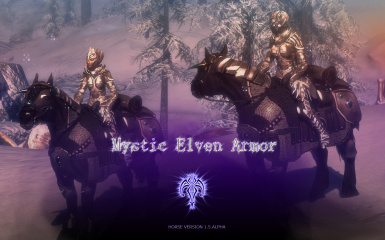 Mystic Elven Horse - Raven 1.5beta fixes. Subsequent save games he should not despawn. Raven is set to ESSENTIAL by default. *Added Note: Yes, it's a separate file. Yes, you're going to have to deal with it. I have 4 gigs of DDR3 ram and 1 gig DDR5 in my card. Vanilla skyrim doesn't go past around say... 750-800k of ram used. My skyrim, with its HD textures etc uses around 1.3-1.5 gigs of ram. That still leaves me with about 1.5 gigs ram free (windows 7 utilizes about a gig). So what? I've got like (insert amount of ram and multiply by elventbajillion) gigs of ram my system is so awesome! 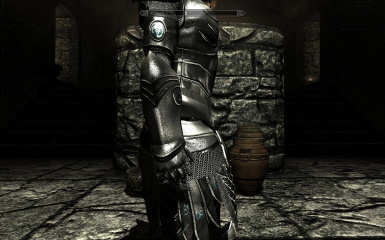 The problem with skyrim is that it doesn't cache weapon textures, now with your base textures this wasn't an issue. Since they're small and crappy (Not HD) they take no noticeable time to load at all. HOWEVER, with these textures which are (for each and every piece) FOUR TIMES the amount of pixels, not caching the textures becomes a problem. 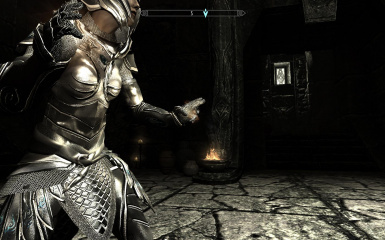 Because EVERY time you equip the weapon, skyrim has to load the textures. 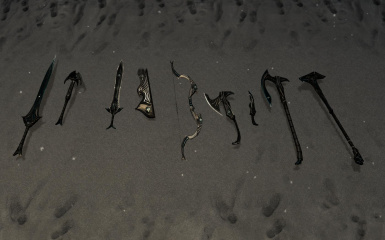 When you unequip the weapon, skyrim "Forgets" the weapon texture (clearing your memory of that texture). Thats why it doesn't matter HOW MUCH ram you have, because Skyrim is always clearing ram of "unnecessary" textures in order to keep ram use as low as possible. What does this mean for lower end systems? Well if your memory isn't FAST, then you'll find you will get the slight delay when equipping the weapons (and viewing them in your inventory). This is why you pick up the fastest memory you can find (which I believe is DDR5 in video cards and DDR3 for standard memory I could be wrong). This is the question you might be asking, and the only workarounds I can give you are this. 1) GIVE YOUR THRALL ONE OF MY WEAPONS. 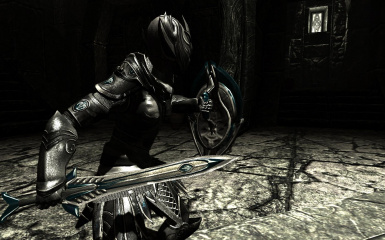 If you have Lydia, give her the elven sword and shield and bow. This will constantly keep your memory "loaded" with my textures, meaning you will receive no delay switching to the weapon she has. Then again, it's possible if you do this you may recieve delays from HER when she switches between weapons. I don't really know I didn't try it. 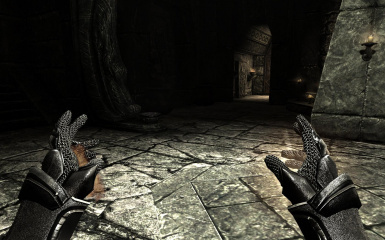 2) Find a way to get skyrim to CACHE textures. I don't know if anyone's working on this, but if it were possible to do this having that 8 gigs of memory instead of 4 might ACTUALLY be useful. 3) DOWNLOAD THE LOW RES PACK AND INSTALL ONLY THE WEAPONS! You don't have to install the FULL low res pack, just do the weapons. 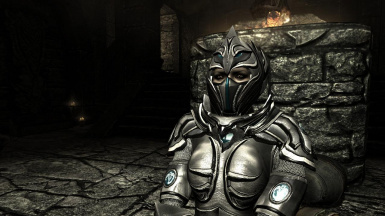 SURE they'll look worse, but they should load a whole lot faster considering every texture in that pack is 1024x1024 pixels, which is the largest size you'd see in vanilla Skyrim. 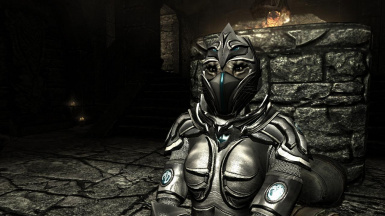 - Low Spec MEA file updated to 1.4.1, now contains ALL CURRENT ARMORS/WEAPONS but no transparent shield. NOTE: REQUIRES MANUAL INSTALLATION, READ THE README. - Added 1.3 shield to Standard File. 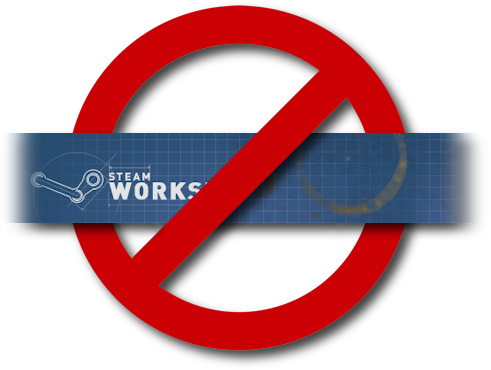 - 1.2 Shield removed. If enough people ask for a non-transparent version of the shield I will upload a 1.3 version with no transparency. -Uploaded a temporary standalone version. 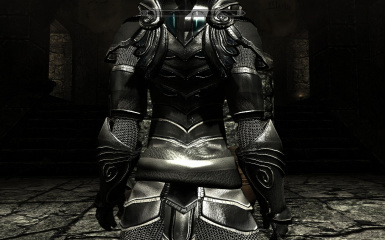 (Provided by Jimshu) the armor is located in the Elven Armor section. Currently only NON-Shoulder version is available. After I've completed all this, I will probably begin work on weapons. - Lower Resolution 1024px Standard File Added (provided by Vergis). Download this if your computer doesn't appreciate my attempts to murder your system with ridiculous texture quality. - Added Four Individual Shoulder Files, so you can mix and match. 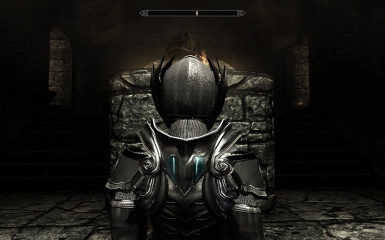 - Added Temporary Grey Elven Helm to match the current set. Even more good news, as I started work on the Male version of the texture I did some more research (via google of course) and I finally figured out WHY I was having some invisible pixels in the texture, after some tweaking I finally got the texture to come out COMPLETLY perfect. An excellent video I used to help me figure out how to do this.